The good news is that the S&P was able to avoid a break of its short term uptrend and to negate its very short term downtrend. 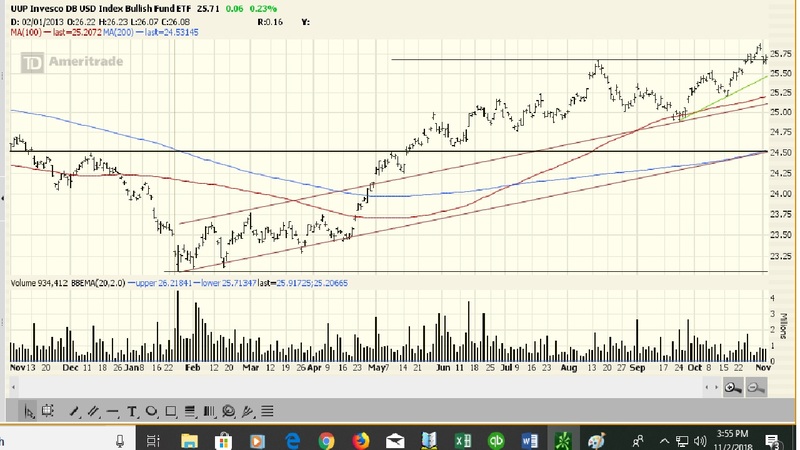 The bad news is that it couldn’t mount a challenge of its 200 DMA, which has been a significant technical level over the last two years (I know, I mentioned it again). 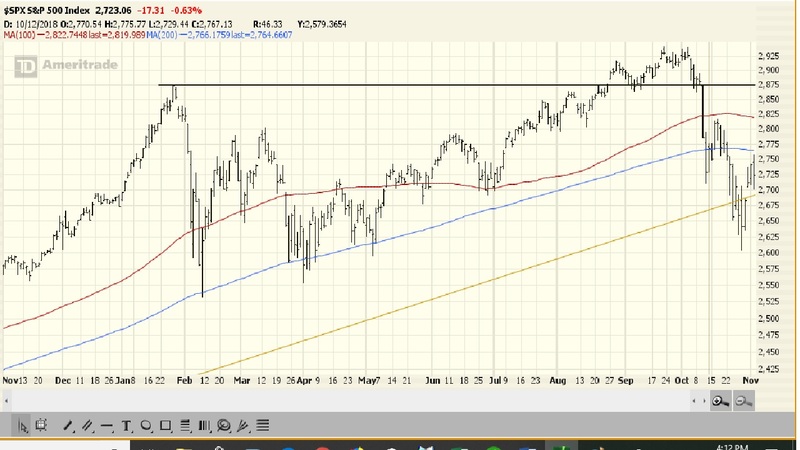 It seems like a break of either the lower boundary of its short term uptrend or the 200 DMA will be a good indication of a further directional move. 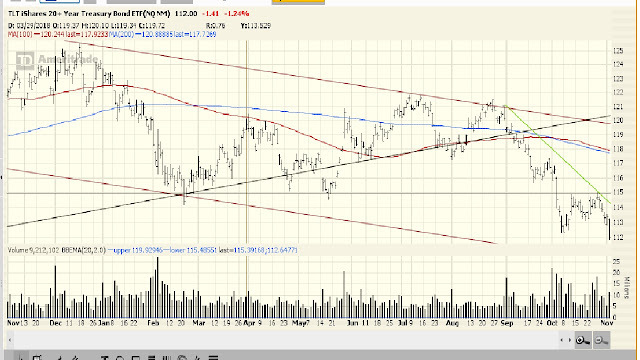 The long Treasury got pounded on Friday, resetting a very short term downtrend. With TLT trading below both moving averages and in a short term downtrend, it seems the bond boys believe rates are going higher. The dollar worked its way higher last week, finishing above its August high. Its chart shows good strength which I have to assume continues, likely propelled, at least partially, by the dollar funding problem. GLD continues to struggle. 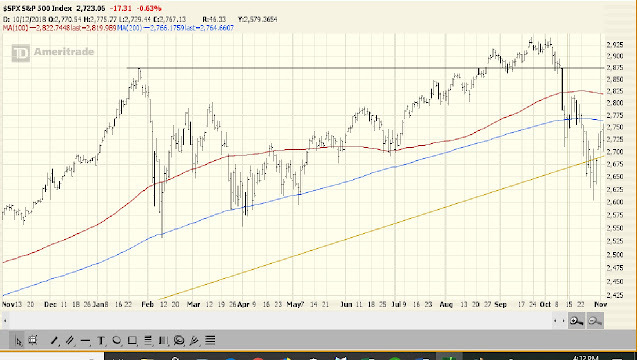 On the one hand, it has been able to hold above its 100 DMA; on the other hand, it negated a very short term uptrend. 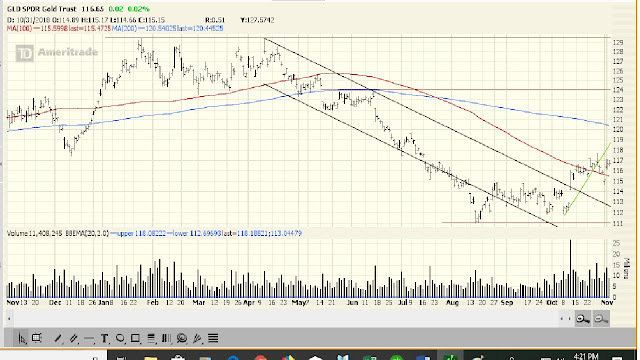 What is a bit confusing is that lower bond prices (higher interest rates) and a rising dollar should be bad for gold. Of course, maybe the hammering it has taken over the last seven months was anticipating what is now occurring with rates and the dollar. Whatever is happening, it is confusing me. 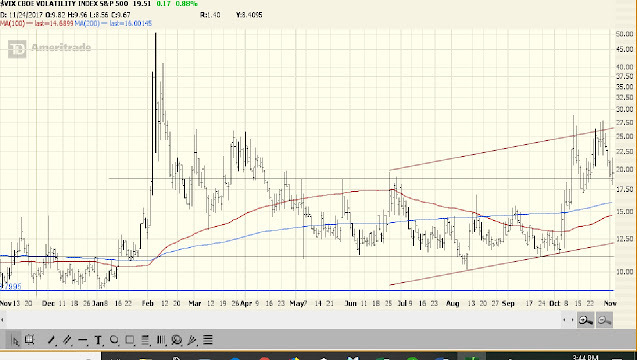 VIX sold off last week, bouncing off the upper boundary of its short term uptrend for a second time. But it didn’t have the same volatility as it has in past periods of violent swings like we have been going through---suggesting a subdued level of fear. Exxon Mobil (NYSE:XOM): Q3 GAAP EPS of $1.46 beats by $0.22. Revenue of $76.6B (+25.4% Y/Y) beats by $920M. The October Chinese Markit services PMI was reported at 50.8 versus estimates of 52.8; the Caixin composite PMI was 50.5 versus September’s reading of 52.1. The October Japanese Markit services PMI came in at 52.4 versus expectations of 50.2; the composite PMI was 52.5 versus 50.7 recorded in September. Key address from China’s Xi. Iranian sanctions pose risk to dollar supremacy. The latest from Nassim Taleb.